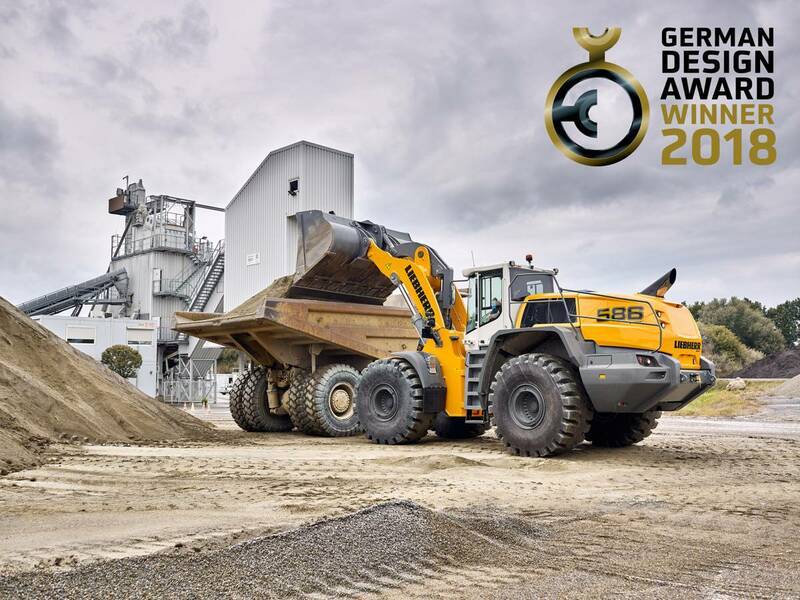 Liebherr has received the 2018 German Design Award in the “Excellent Product Design” category for its T46-7 telescopic handler and its XPower® L 550 to L 586 wheel loaders. 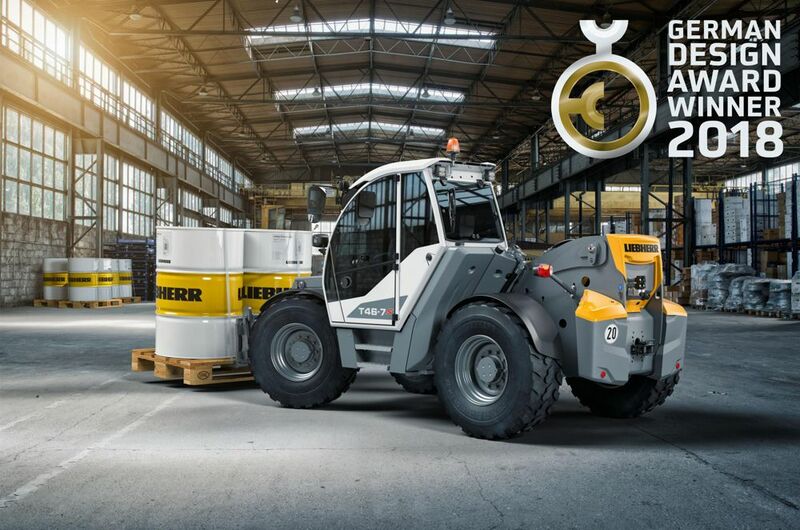 The expert judges were impressed by the optimal visibility and the dynamic appearance of the telescopic handler, as well as the intelligent and functional design of the XPower wheel loaders. The German Design Award is one of the most highly recognised design competitions worldwide. The overall machine design was aimed at ensuring maximum visibility of the load at the front to give enhanced productivity, as well as to the side and rear, for maximum safety. This was primarily achieved thanks to the very low pivot point of the telescopic boom, as well as the sloping sides of the handler and an engine hood that follows the line of sight. With its continuous windscreen and internal slim-line ROPS/FOPS grid, adapted to the operator’s sight line, the cab design also helps ensure maximum visibility of the load. The XPower wheel loaders differ from conventional wheel loaders not only in their innovative technology but also in their design. The design development phase focused on a powerful appearance and particularly on functionality and user friendliness. Even at first glance, it is clear to see the XPower wheel loaders’ dynamic proportions and modern design elements, which are consistently implemented from the lift arm, to the comfort cabin, right through to the rear end. The silhouettes looks compact; even while standing still, they create an impression of innovation and power. The radiator is located directly behind the operator’s cab, the cleanest area on a wheel loader. In this position, the cooling system can take in dust-free air, which ensures a consistent and reliable cooling performance. This intelligent design reduces maintenance hence increasing machine availability. Sophisticated details that fit harmoniously into the appearance of the wheel loader make servicing easier for the machine operator. The engine hood opens backwards, which provides unobstructed access to the engine for all maintenance work. A platform is incorporated into the open engine bonnet for comfortable and safe working. The most important maintenance points are in close proximity to the cab and can thus be more easily accessed. The fuel and hydraulic tank are in close proximity which makes refuelling easier. A step at the cab facilitates safe cleaning of the windscreen and is also used to hold the driver’s door in position.